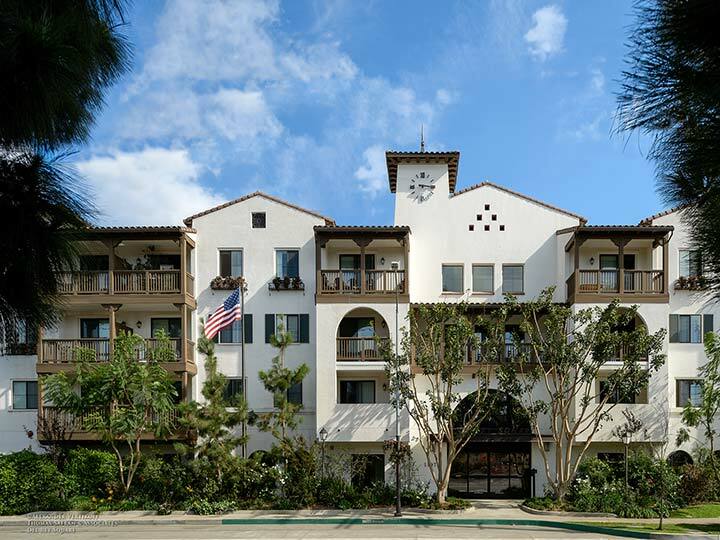 Del Rey Square is a 124-unit, Section 8/Tax Credit property located in Los Angeles, CA for people 62 and over. The waiting list is currently closed. The studio and one bedroom units include wall-to-wall carpeting and vinyl flooring, window blinds, a private patio or balcony, a kitchen with a range and oven, refrigerator, and waste disposal. Del Rey Square residents enjoy ample community space with access to a kitchen, fitness center, computer lab, television room, library and an outdoor Jacuzzi tub. The community features on-site management and maintenance staff. Resident activities include educational, exercise and social programs such as computer classes, coffee socials, yoga classes and monthly birthday parties. Through a partnership with the Housing Authority of the City of Los Angeles (HACLA) and support through Saint Joseph Center, Del Rey Square provides 12 units of housing specifically for the formerly homeless population.